Compare cSeries Imagers: Which cSeries Imager is Right for You? 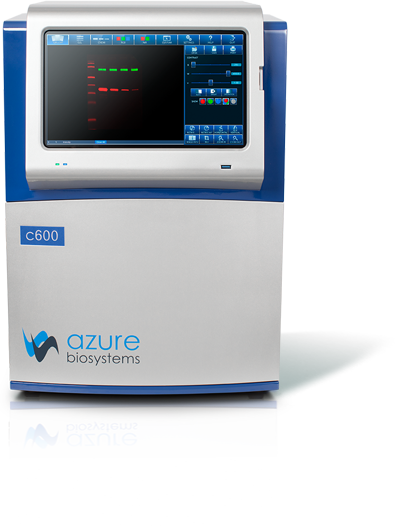 Packing high performance and flexible imaging capabilities into a small, bench-friendly footprint, Azure Biosystems’s cSeries Imagers are workhorse systems ready to meet your lab’s needs now and into the future. Choose the configuration that supports today’s studies and budget and then upgrade later* as your needs change. Azure cSeries Imagers—proof that quality can be affordable. *Only c200, c300, c400, and c500 models are field-upgradable. What Can You See With the cSeries? Image gels, blots, plates, tissues, small animal models, plants, and more! Select Azure cSeries models (c200, c300, c400, and c500) can be upgraded in the field to expand capabilities and increase what you can accomplish. Learn more about the upgrade process by contacting us.